Zion National Park 273 km or 170 miles from Vegas, in Utah. 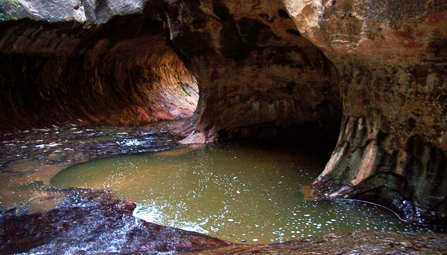 The subway is a well photographed area and permits must be applied for before hiking into the area. Its also popular for bird watchers and nature lovers in general. 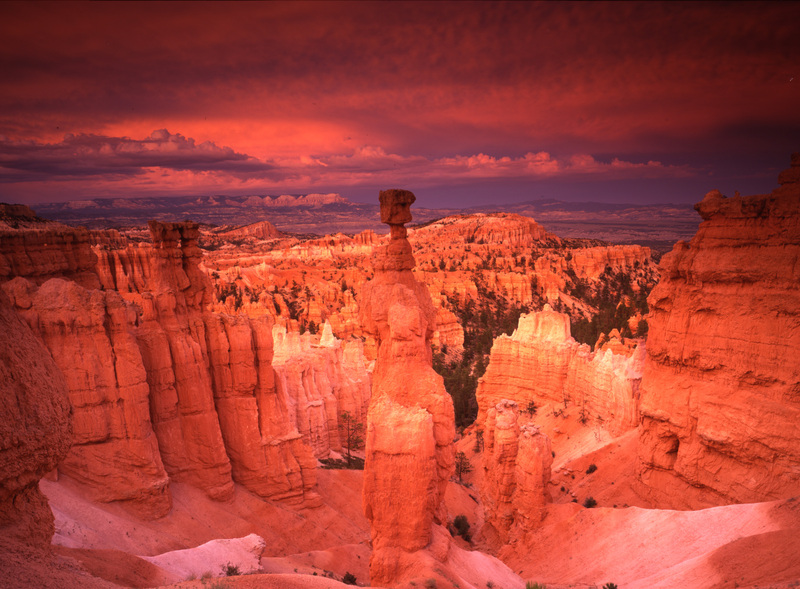 Bryce Canyon National Park is located in a similar area in Utah, with Vegas also being the closest major airport. They have a shuttle system to minimise traffic disruptions, and of course there is plenty of hiking to do. But with sunsets like the one above, I can only imagine what the sunrises look like! I have a dream of taking a month or two and road-tripping from park to park in the Western US and Canada. If I ever get to do it I'll have to add these to my list of parks to check out. I agree Katie, so much beautiful scenery to see!